In this updated audio version, one of America’s leading brand strategists shares her step-by-step program for creating an unforgettable identity in today’s marketplace. 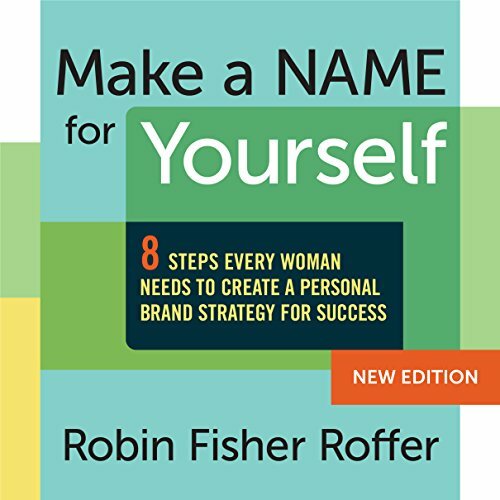 In Make a Name for Yourself, Robin Fisher Roffer shows you how to develop a unique, personal brand strategy for success by defining your true purpose, identifying your attributes, values and passions, and how to use them in today’s marketplace. In this age of distraction, brand marketing - the process by which products create an emotional connection with target audiences and stand apart from the crowd - is more important than ever. Roffer knows that branding isn’t just for big corporations or products like Nike, Coke, or Google. A pioneer in this field, Roffer has used brand marketing to catapult her own career. Inspiring case studies, analyses of well-known people and product brands, and thought-provoking exercises will help you create the essential elements of your personal brand. And unlike other career advisors who simply push networking and external tools, Roffer also offers methods for your inner self to overcome fears and decipher realities. Make a Name for Yourself is for anyone starting out in the workforce, launching a business, changing careers, or trying to make it in the corporate world.